A week-long summer program offered to young women entering their senior year of high school who want to develop leadership skills, learn how government works and the duties privileges, rights and responsibilities of good citizenship. Boys State is for teens entering their senior year of high school who are in good academic standing and want to learn how government works, develop leadership skills and practice good citizenship. The program is offered every summer to more than 1200 boys across Ohio. A six-day leadership development experience for rising high school juniors and seniors in central Ohio. The free program is offered annually during the summer. All eligible students are encouraged to apply. Provides programs for teens who are interested in leadership and international issues. The programs are offered through the students’ local high school. Contact for more information. Provides high school students the skills and motivation needed to complete an education at a college of their choice. The Upward Bound program at Columbus State Community College is available to income eligible students attending Mifflin High, East High, West High and Linden McKinley STEM. Upward Bound has a 100% college placement rate. Offers interactive experiences, exhibitions and more. COSI features live shows, special events, family programs, single day and summer camps, and career exploration, workshops for homeschoolers. They offer a special “Family Access Membership” that is available for families who get WIC, Ohio Directions (EBT) or Ohio Medicaid. A summer program for young women entering the 10th, 11th or 12th grade to experience mathematics through engaging activities in a nontraditional environment. Participants will build confidence in their math and programming abilities and develop a deeper understanding of a variety of topics, including mathematical and algorithmic reasoning and problem solving skills. A public service internship program that allows high school students in the fall term of their senior year to gain first-hand experience within organizations in the public service sector. Applications open during the fall/autumn time. Offers school and summer programs for grades K to 12 that teach money management and business skills. Programs are offered throughout central Ohio, partnering with schools and teachers. College scholarship opportunities and internships are available to students who have participated in Junior Achievement programs. A free six-week residential academic enrichment program for rising high school seniors who have a strong academic record and are interested in studying and exploring careers in science and engineering. Students’ housing, meals and activity costs covered and they only have to pay for transportation to and from MIT. Visit the website for contact information. Serves high school juniors and seniors from public schools in Franklin County. Students of the humanities program pursue in-depth research projects, engage with the local arts community and earn high school credit. Founded by the Educational Service Center (ESC) of Central Ohio. A workshop designed for high school students interested in emergency medicine, nursing, athletic training, physical therapy or other allied health and medical professions. Participants will also have the option of becoming certified in CPR. An 8-week paid summer research experience on the campus of Abigail Wexner Research Institute at Nationwide Children’s Hospital. High school sophomores and juniors will be placed with a researcher for a hands-on science experience, while being exposed to various careers in biomedical research. Visit the website for contact information. Current high school students who attend or whose home Columbus City School is South or Marion-Franklin are able to have homework help, cultural field trips, college tours, test prep, career exposure, a six-week college-going experience with work-study opportunities and more. This program is free for eligible students. Visit the website for more information and how to apply. A free youth development program dedicated to serving economically disadvantaged children in the Columbus community. Their programs include a sports summer camp for youth ages 9 to 15, a youth leadership academy preparing youth ages 15-18 for college and future careers and community-based sports clinics throughout the year. Transportation is free to all campers via buses. Provides high school students with year-round tutoring services, test preparation, college/cultural tours and personal/career development activities and workshops. They encourage first-generation and/or low income college bound 9th, 10th, and 11th grade students who attend or live in the service areas of Briggs, East, South, or Walnut Ridge High Schools to apply for admission. A 8-week paid, summer internship program for high school students interested in exploring welding engineering. Interns are expect to work up to 24 hours per week; the position is flexible and can accommodate for other obligations. Students are not expected to have advanced knowledge of material science. Visit the website for contact information. A week-long summer learning program for high school students, organized and led by the Department of Philosophy at The Ohio State University (OSU). It’s designed to introduce students to philosophy through learning experiences that are rigorous, engaging and fun. Need-based financial aid is available. An intensive, ten-day summer seminar for high school students from low-income backgrounds who have at least a 3.5 GPA and an interest in journalism. The cost is free, including travel costs to and from Princeton. Check website for more details. A free 12-day program that aims to increase understanding of the law and its possibilities among Ohio high school students. Students participating will have daily interactions with lawyers, judges, and Ohio University (OU) faculty, and develop knowledge and skills that will prepare them for collegiate study. Through this program, middle and high school age students can participate in after school and summer youth internships to gain skills growing vegetables in sustainable aeroponic towers. In the free youth development program, they gain leadership and entrepreneurial skills while preparing weekly cooking demonstrations and having fun. 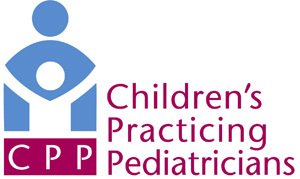 Represents a non-partisan statewide network of families, professionals and organizations throughout Ohio that work on public policy to make sure children are well-educated, healthy and safe. They also offer internships for high school students. Provides an experience-based, year-long entrepreneurship program for students in grades 6-12. Students learn to generate business ideas, conduct market research, write business plans, pitch to a panel of investors, and launch their very own companies. Provides opportunities for academically talented first generation students in Ohio with demonstrated financial need. Student scholars receive pre-college preparation through college advising, academic coaching and mentoring, college planning tools and resources and more.